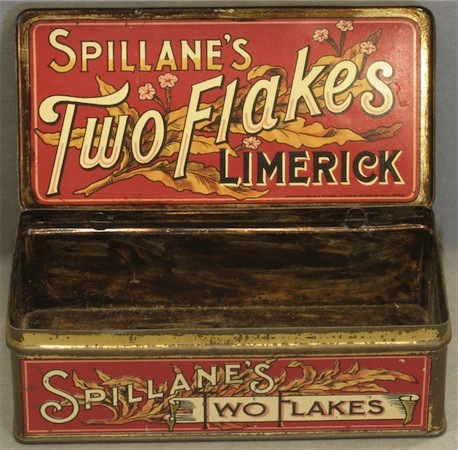 In 1929, Limerick city was the home to two large of tobacco factories Spillane’s and Clune’s who imported tobacco from the United States, Egypt and Turkey as well as locally grown tobacco to produce their famed products. Spillane’s Tobacco Factory on Sarsfield Street was started by John Spillane in 1829 and was known as ‘The House of Garryowen’. A hundred years later they were employing a hundred people. The famous Garryowen plug formed 80 per cent of the factories output while they had other products including Popular and Treaty bar plugs, Hazel Nut plug, Special Flake, Handy Cut Flake, snuffs, Cashel, High Toast, White Top and Craven A cigarettes. To meet a special demand from the North of Ireland the factory produced a type of plug known as Long Square. Spillane’s closed in 1958 with the loss of 150 jobs after the building was purchased by Murray Ltd, of Dublin the year previous. Their building is where the old Dunnes Stores building stands today. William Spillane who was the Mayor of Limerick in 1885 built the Spillane Tower which today is better known as the ‘Snuff Box’ on the banks of the Shannon river at Corkanree. The other large factory was Clune’s Tobacco Factory on Denmark Street. It opened in the late 1872 and had about 60 employees in 1929. The firm specialised in Big Bar Plug, every two ounces of which is stamped Thomond. 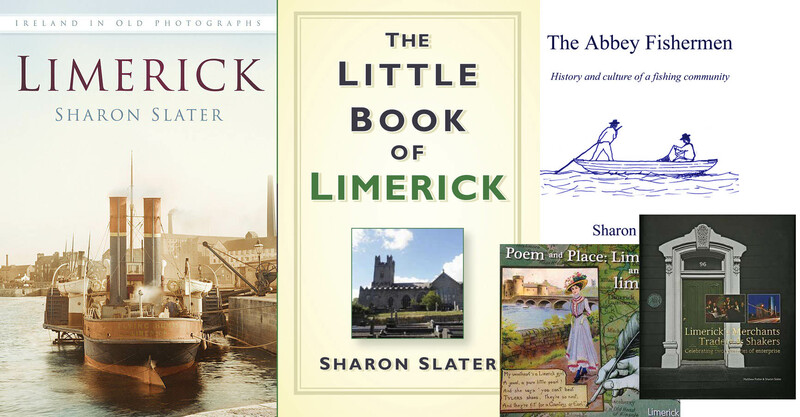 They also excelled in the Far-Famed Limerick Twist. They were also known for Kincora Plug, Sarsfield Plug, Home Rule, Hibernian, Target, Ireland’s Pride and Two Flake. A popular item associated with tobacco factories are the cigarette cards. Cigarette cards were originally produced as a small piece of card which was designed to protect the individual cigarettes from being squashed as the original packaging was paper and not the card boxes that we know today.